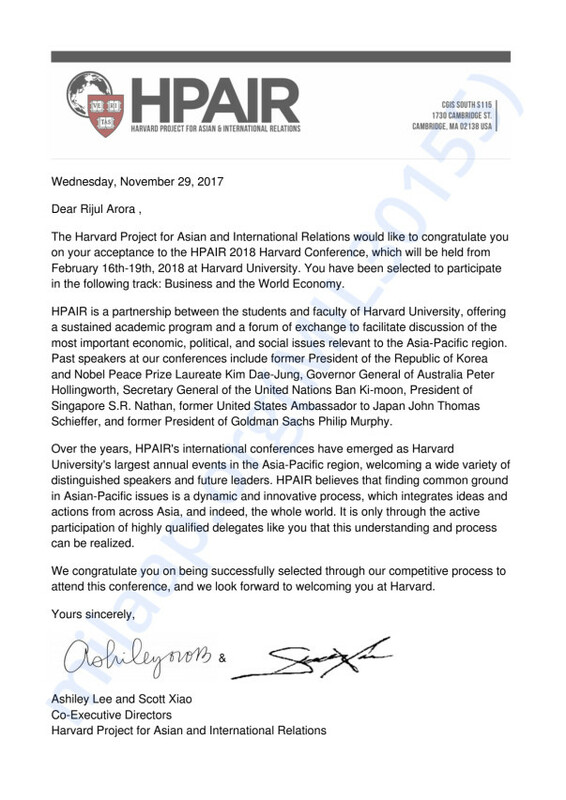 I have been selected through a grueling process to represent India at this conference where I’d be joining 300 young leaders from around 90 countries to deliberate on issues vital to Asia Pacific in the international landscape. HPAIR offers the perfect opportunity to discuss how developed countries tackled economic, political, environmental and social challenges during their growth journey and use that to address present and future issues in developing Asian-Pacific economies. Why HPAIR for me ? Firstly, the experience from HPAIR will help me to meet leaders from various cultures, backgrounds and societies with different opinions who are beating the odds and doing extraordinary things by creating meaning and impacting others. This exposure will give me different perspectives into the kind and the ways in which we can impact people which each of us can implement in our own lives and impact people hence making our society better off. Secondly, I want to create long term meaningful relationships and HPAIR will help me in fostering long term relationships with leaders from around the world so that we can continue to interact and impact society in the coming future as well. Thirdly, I intend to apply the learnings from my track especially the learning from the globalization topic in my Economics course curriculum and these learnings will give me a better grasp and perspectives into these courses. Lastly, managing people is a part and parcel of life and the second panel topic that is “prioritizing human resources” will help me in managing people and hence the outputs of the teams which I will manage will not only be higher but the teams will be much more satisfied and happy. Hence, we will not only be a much more productive workforce but we also will be much happier as well which is where the society should move to. 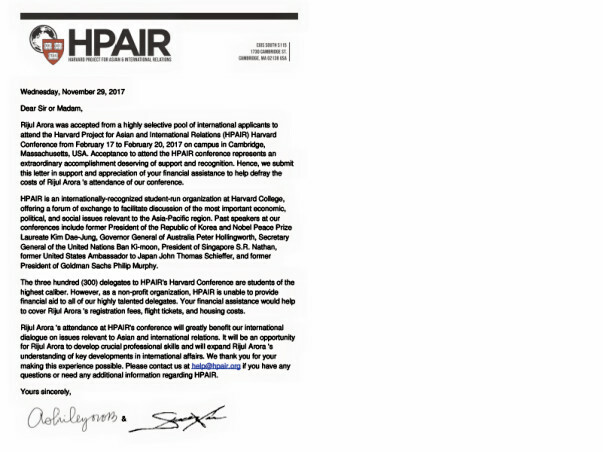 In the end, I will be able to learn a lot from HPAIR conference and this will enable me to impact thousands of people in the coming future which inclines with my “Ikigai”.